Wanna play? Dogs of all sizes & breeds are welcome! Classes are 50 minutes long, and held in a grassy, fenced yard in the Redlands. 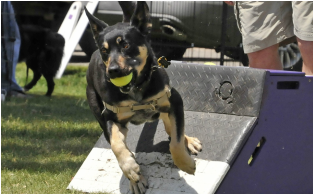 Intro to "what is Flyball"
5 week course that teaches you the skills to get your dog ready for racing. We will respond with class dates, location address, etc. Interested in a class? Questions?